It is no mystery that all Muslim parents want to provide their children with both Islamic and non-Islamic education at the same time. Many people wonder why that is so. Well, there are many reasons why people want their kids to attend Islamic schooling as well as non-Islamic schooling at the same time. The most important reason why Muslim parents want their kids to attend Islamic schooling as non-Islamic schooling is the fact that as Muslims, it is necessary for them to provide their children with Islamic education and as inhabitants of this world, it is necessary for them to provide their children with worldly or non-Islamic education. If parents fail to provide their children with non-Islamic education, their children won’t be able to survive in this world and if they do not provide their children with Islamic schooling, they will not only be defying the command of Allah but will also be causing their children to drift away from Islam. How can parents provide their kids with Islamic and non-Islamic education at the same time? Parents can easily provide their children with both Islamic and non-Islamic education if they enroll their children into a school which provides both Islamic and non-Islamic education at the same time. Combined with a lot of hard work and the right parental guidance, such a school can definitely provide children with Islamic education along with their schooling. When it comes to providing Islamic and worldly schooling at the same time, parents might have to be a little harsh on their children. However, whatever they do will definitely be for the good of their children. If parents want to provide their children with both Islamic and non-Islamic schooling at the same time, they can definitely try doing so by devising a strict schooling schedule for their children to follow. 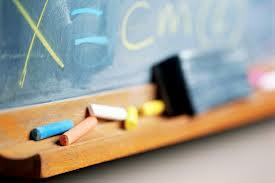 Hiring an Islamic teacher is quite an easy task for the parents of today. However, if parents really want to provide their kids with Islamic education along with their schooling, they need to help their kids juggle both Islamic and non-Islamic schooling without getting tired. If parents support their kids in the right manner, they can definitely help them juggle both Islamic and non-Islamic schooling at the same time. How do you think parents can provide their kids with Islamic and non-Islamic education at the same time?